Living rooms need love too! Everything is always about the kitchen and the bath. But your living room gets a lot of activity. It needs to be designed well too. Busy schedules make it difficult to spend time together as a family. You don’t want your family members fleeing to their bedrooms because they’re more comfortable there. 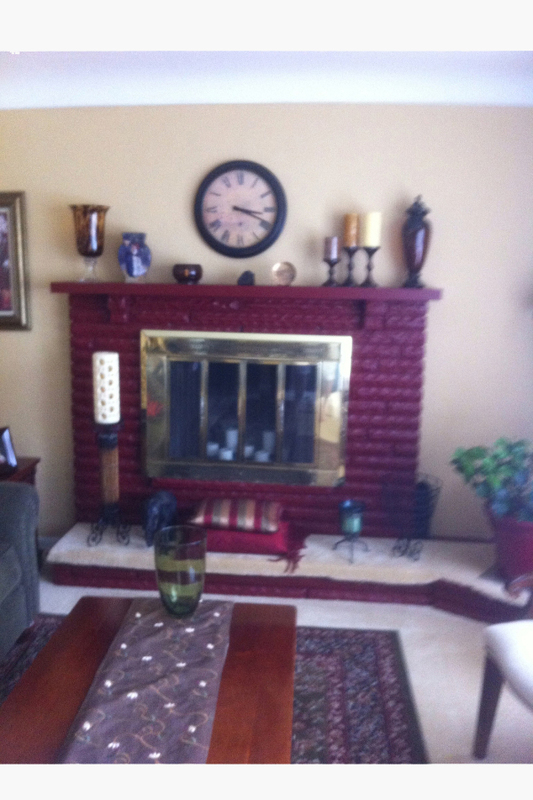 This client wanted a brand new interior design living room, including the painted concrete fireplace. The fireplace in this interior design living room had a dated look and it stood out; it didn’t bring the room together. And the scale of the mantel was too small for the fireplace and the room. 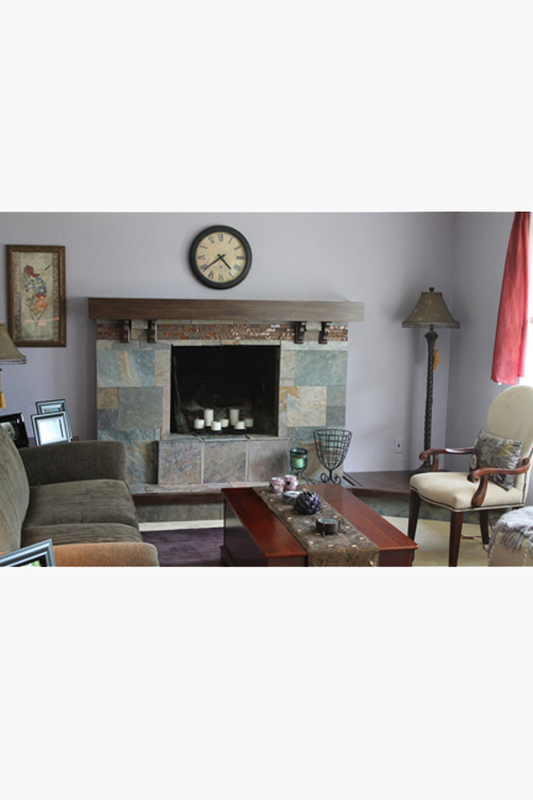 I refaced the fireplace with glass tile and slate, then built a larger scale wood hearth and mantel, painted the walls and trim and pulled the interior design living room together with an area rug and accessories like pillows and throws. This living room interior design had beautiful woodwork and built-ins. 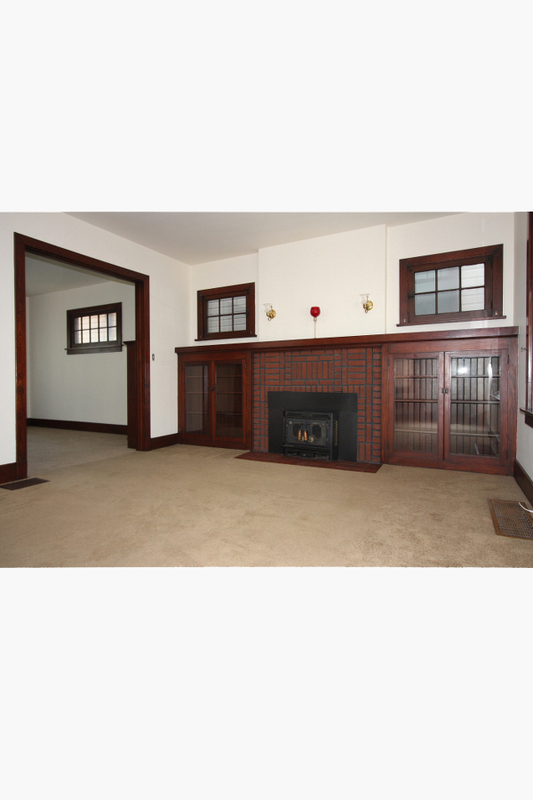 The fireplace had a broken hearth, unusable wood-burning furnace and textured bricks. The result was that the whole wall just looked like a dark box and there was no focal point in the room. To unite the interior design living room, I tiled the hearth with the same slate tile used in the home’s entryway. I tiled the façade with stone and glass tile to brighten it up and make it the focal point of the room. We removed the wood-burning furnace and lighted the inside with candles and strings of lights until the client decides to install gas logs.